Seismic Shift at the EPA? 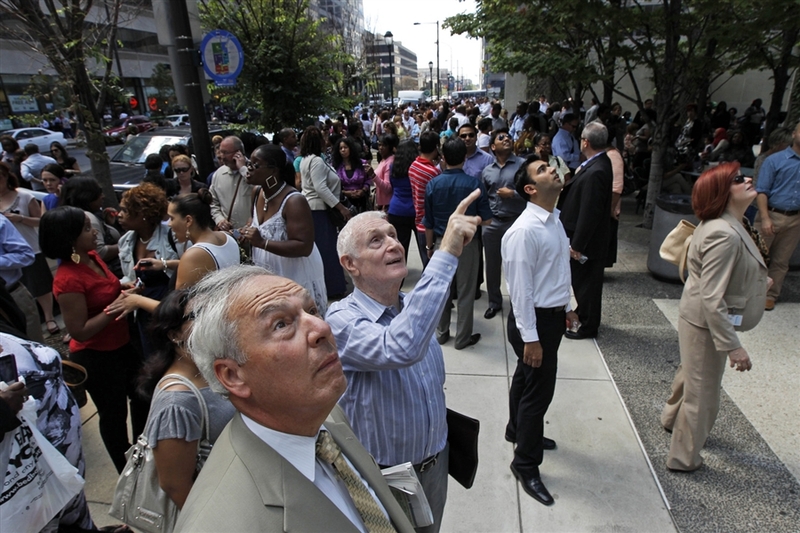 The D.C. quake led to evacuations that snuffed heated negotiations at the EPA over new beach water quality criteria. I flew out to Washington, D.C., this week to meet with Nancy Stoner, the EPA’s Acting Assistant Administrator for Water, to help voice environmental community concerns about the direction of the National Beach Water Quality Criteria due out in 2012. The NRDC’s Steve Fleischli, a longtime friend, joined me for the meeting with Stoner and about a dozen Office of Water staffers in the EPA East building. Other enviros from Surfrider Foundation, Heal the Bay and New Jersey’s Clean Ocean Action joined by phone. We remain upset with the direction of the EPA draft criteria for a number of reasons. At a workshop in New Orleans earlier this year, and in a number of subsequent conference calls, EPA Office of Water staff made it clear that the proposed rules would be nearly identical to the 1986 criteria, marking almost no changes in 25 years. In some ways, the criteria will be even weaker than the 1986 version, despite more than two decades of new studies. I had the privilege of taking the lead for the enviros in the meeting. I explained that EPA was considering an approach to beach water quality regulation that would be far less protective than California’s and would compound existing weaknesses in the 25-year-old criteria. Because I’ve spent those same 25 years working on beach water quality issues as an advocate, scientist, public health professional and legislative sponsor, I was pretty wound up. About 50 minutes into today’s meeting, as I was attempting to make a key point, the ground started to move. Then the chandeliers started to sway. The rock ‘n’ roll continued for nearly a minute, with some folks moving away from the light fixtures, others diving under the desk and still others crowding the door jamb. There I stood, making a stand for greater health protection for swimmers and surfers during a 5.9 earthquake. The best sewage story ever? 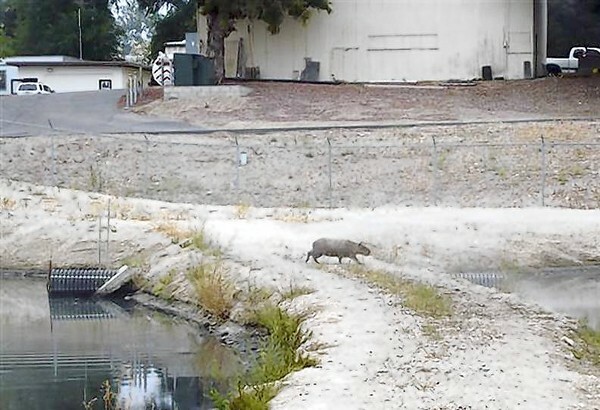 What could possibly beat a wild capybara emerging from the murky waters of a California sewage pond? Rodents of unusual size have a wide following. (Exhibit A: the classic Rob Reiner film “The Princess Bride.”) And capybaras are prized as a Peruvian delicacy (Exhibit A: My food critic brother Jonathan Gold). But I’m pretty sure that the rodent in question didn’t escape from anyone’s vermin ranch. Also, what the heck was the capybara doing in the wastewater pond to begin with? I know the animals love water, but Amazonia is a long way from Paso Robles. And the Amazon’s pristine waterways seem a lot more appealing than poorly treated Central Coast sewage. The settling pond photos look like something from before the dawn of sewage treatment technology. And they are! The plant was built in the 1950s and has not been modified since then to provide nitrogen removal. The 3 million-gallon-a-day plant definitely needs a major overhaul and Paso Robles is considering joining the 21st century on wastewater treatment (an estimated $50M for adding filtration and denitrification). Meanwhile, be on the lookout for rodents of unusual size in Paso Robles. Ventura's highly productive Santa Clara River estuary will no longer receive direct sewage plant discharges under a unique settlement agreement announced today. After a decade of disagreement about the impacts of sewage treatment plant discharges to the Santa Clara River estuary, the city of Ventura and environmental groups Ventura Coastkeeper, the Wishtoyo Foundation and Heal the Bay today jointly announced a settlement agreement to protect the estuary while increasing local water recycling. 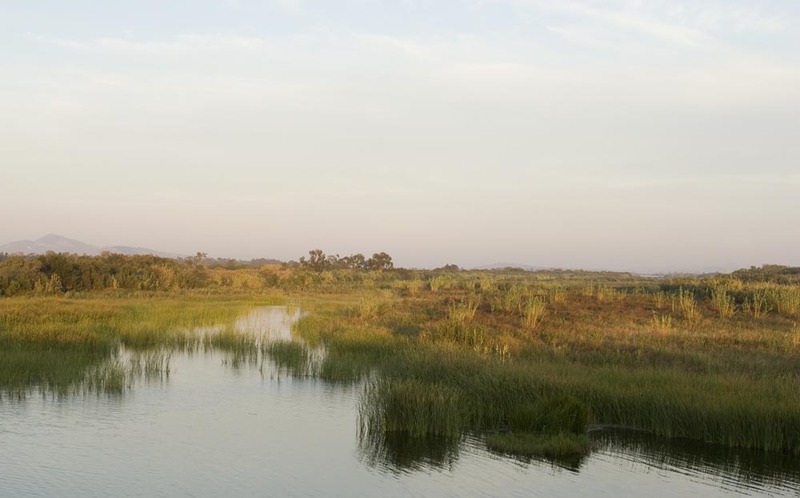 The Santa Clara River estuary is the terminus of one of Southern California’s largest and most productive river systems. The area is also home to the endangered southern steelhead trout and tidewater goby. The agreement will end the last direct sewage discharge to an estuary in California. The settlement will result in at least a 50% reduction (approximately 4-5 million gallons a day) and up to a 100% reduction (8-10 million gallons per day) in treated sewage discharges to the estuary. This tertiary-treated effluent (filtered and disinfected) will be recycled locally for irrigation and other non-potable uses. The water that doesn’t get recycled will be discharged to a treatment wetland that will further cleanse the treated wastewater. Then, the water will flow through the wetland before being discharged to the estuary.